To make it more authentic looking and crunchy, try rolling the battered items in Panko before baking. I thought so, too. 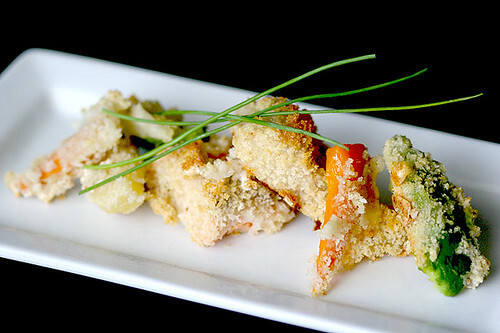 Traditionally, you don’t add panko to tempura but I actually did (look at the pic) only because I baked it. However, I did a second batch without it. Yes, the texture changed, obviously. But surprisingly, it didn’t make it any more crunchy. And I liked it better, in fact. You forgot the batter recipe!